Found 10 file extension associations related to thinBasic and 10 file formats developed specifically for use with thinBasic. 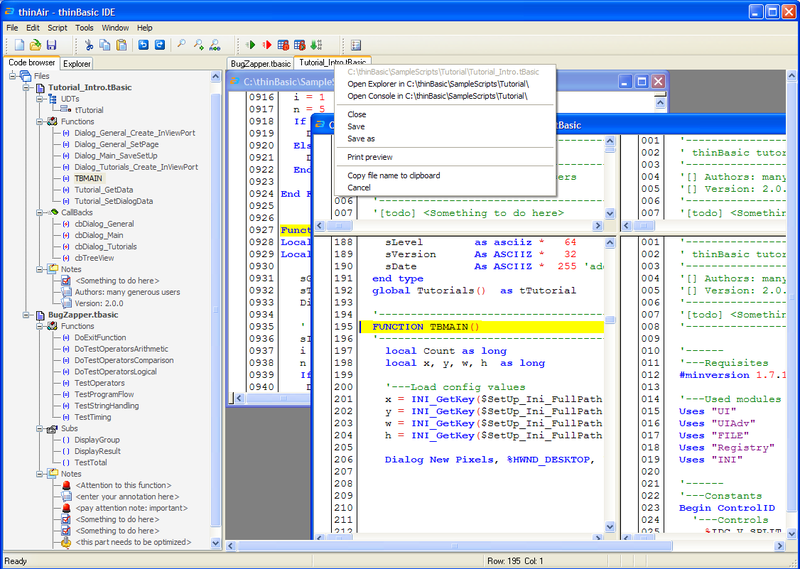 thinBasic is a BASIC-like computer programming language interpreter for Microsoft Windows with a central core engine architecture surrounded by many specialized modules developed by Eros Olmi. Although originally designed mainly for computer automation, thanks to its modular structure it can be used for wide range of tasks. If you need more information please contact the developers of thinBasic, or check out their product website.